Field Day Shirts and Shorts for sale! Schell Field Day shirts and shorts are on sale now! Order online or look for an order form in this week's eNews. 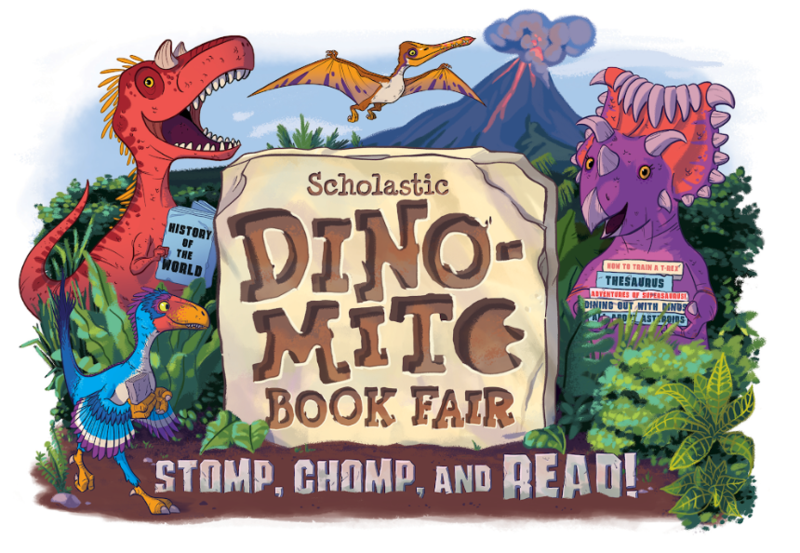 The Spring Dino-mite Book Fair is here — where we encourage our kids to let their imagination grow! Your help is greatly needed to make it successful! Join our volunteer team to help set up or pack up the fair, help shoppers of all ages find their perfect book, or organize and merchandise displays. Remember that you must have your background check completed through the volunteer application form at pisd.edu before volunteering. Click here for Schell's Fall Book Fair sign up sheet! Visit https://www.pt-avenue.com/shopGP.asp?sc=SchellPTA and order your shirts today! *Styles and sizes are in limited supply. *All orders will be delivered the Friday AFTER purchase. Here's another great way to support our Schell students! Amazon will donate 0.5% of the price of your eligible AmazonSmile purchases to Schell PTA. AmazonSmile supports charitable organizations and is the same as Amazon with the same products, prices and services.